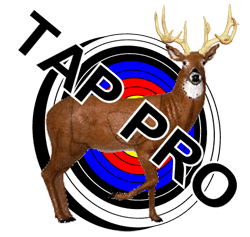 If you shoot a compound bow, chances are you are using a release and a D Loop. What is a D Loop? A D Loop is a rope that is tied to the bowstring that offers a means of attachment for a release aid that doesn’t impede the flight of the arrow. Before using a D Loop became a common practice, archers would attach their release to the bowstring. By attaching a release straight to the bowstring, the serving was worn down faster, release torque was easily transferred to the bow, and pressure exerted from the release to the arrow’s nock (pinch) could slightly decrease the accuracy of the arrows flight. 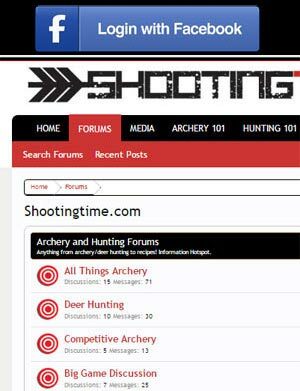 Using a D Loop eliminates these problems and is the most efficient and accurate way to draw and shoot a compound bow. What kind of material should I use for a D Loop? The best material to use for a D Loop is a stiff braided polyester rope. 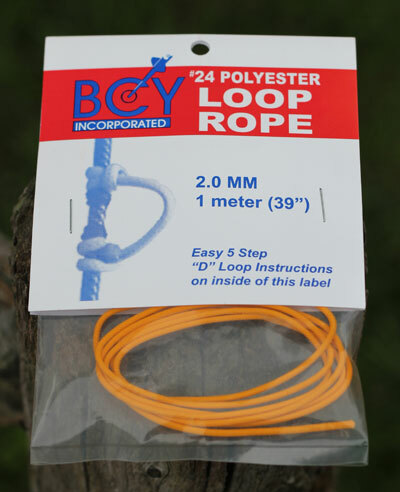 The brand that we are reviewing and trust at the range and in the field is BCY D Loop Rope. 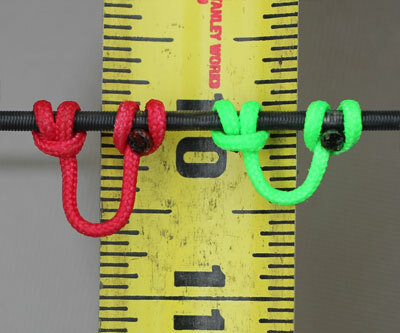 BCY D Loop rope is durable, grips the bowstring’s serving extremely well, and beads up better than most while melting a ball on the end of the rope. BCY D Loop ropes are offered in a wide variety of colors to compliment the setup that you are shooting. There are a few ways you can install your D Loop. Some people, including BCY, prefer to melt and ball up one end of the D Loop rope, tie the D Loop “lark’s head hitch”, then cut and melt/ball up the other end of the D Loop rope. We prefer a different technique that allows us to tie a good strong D Loop, while not requiring us to melt the finished end of the D Loop so close to the serving. We precut our BCY D Loop rope. After a little trial and error, we have found out that you can pre-cut and melt the ends before tying your D Loop. We cut our BCY D Loop rope at around 4.5 inches then melt it down to our desired length. After cutting the cord, fray out the poly fibers. Next, take a lighter and melt down the ends. You can let it catch on fire and then blow it out, or you can keep your distance so it melts cleanly; either way, we suggest that you flatten the bulb so the diameter is larger than the rope. We flatten the melted bulb against the metal housing of our lighter. When the BCY D Loop rope is cut and the ends are finished, we can tie our D Loop knot. Even though there are many tutorials available on the web, including our website’s page, How to Tie a D Loop, BCY still includes a handy illustrated set of instructions on how to tie this “lark’s head hitch” right in their packaging. 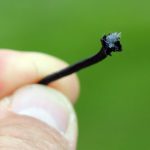 After the knot is tied and you’re sure the D Loop is where it should be on the bowstring, use D Loop pliers, an allen wrench, or your release aid to pull the D Loop knot or lark’s head hitch tight. You should now be ready to shoot with your new D Loop. The photo above shows the finished product of a D Loops that were 4 and 4.25 inches (including the melted ends) before tying. The green D Loop is a nice tight one, while the red is longer for those who might want to add a little to their draw length. While there are many choices for D Loop rope on the market, we stick with a proven product, BCY D Loop rope. 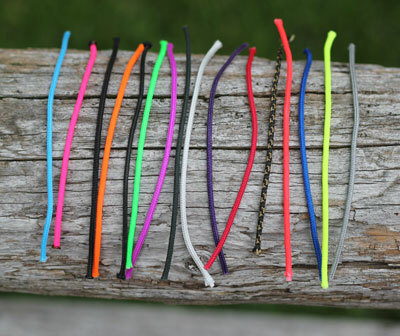 They offer a tremendous variety of colors and they hold up after extreme use in a variety of conditions. BCY D Loop rope is offered in different lengths including 39 inches, 50 ft, 100 ft, and 500 ft spools. 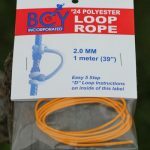 We give BCY D Loop rope a rating of 9.5 out of 10 stars. 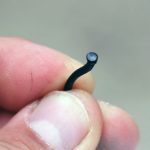 I tie my D loop knots with the melted end on the “inside” rather than the outside as you’ve pictured in this article. Any issues/concerns with where the loop ends vs the melted ends wind up?